​to host "A Day in the Playroom." By partnering with us to host A Day in the Playroom your generosity will ensure that 10 children in the hospital will receive costumes, art supplies, photo keepsakes, trophies, and much more.Consider making it a monthly, quarterly, bi-annual or annual commitment. 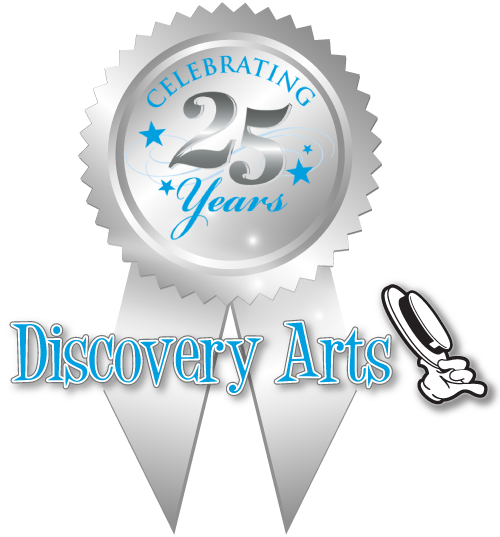 Sponsorship includes recognition on Discovery Arts’ high traffic website and our social networking sites. For those children who are too ill to participate in our group programs, a Discovery Arts team member brings the magic directly to their bedside with their very own Arts Adventure in a custom made Bedside Adventure Kit. They are filled to the brim with a variety of age appropriate art materials and fun creative projects. Each and every child receives a Bedside Adventure Kit, even visiting family siblings. Additional kits are also provided to the hospitals for children to enjoy when Discovery Arts is not currently on site at the hospitals we serve.